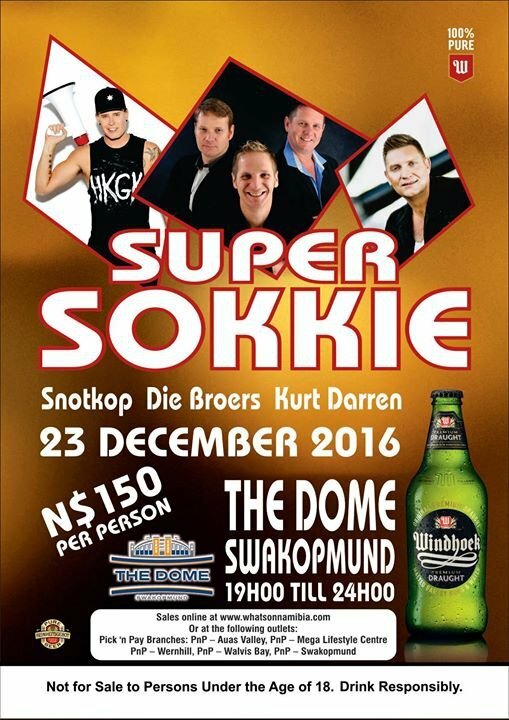 This promises to be an evening of great fun, with top artists like Snotkop, Kurt Darren and Die Broers performing right here in Swakopmund. Bring your hubby & friends and enjoy some lekker dancing. Entry fee is N$ 150.00 per person.